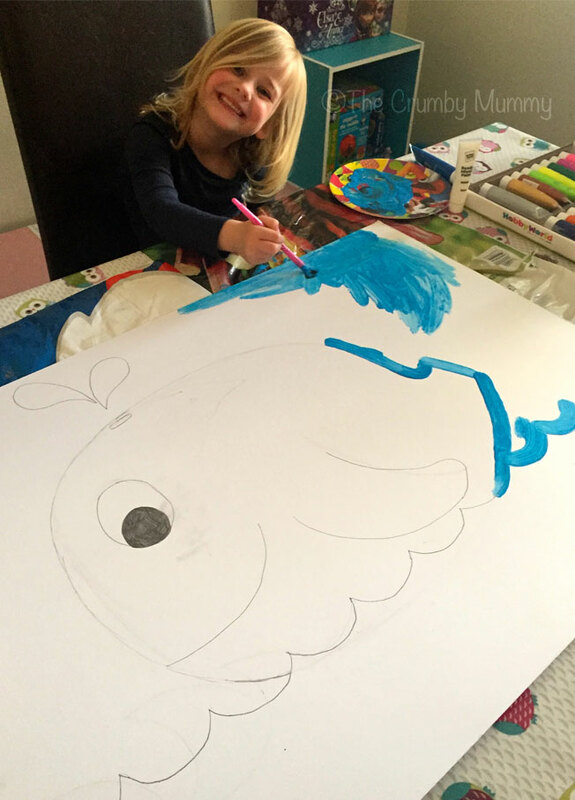 I drew a big whale (minus his tail) and Bob helped me to paint it. I then drew his tail on a piece of paper and attached some blue tac to the back of it. I loved the finished result! 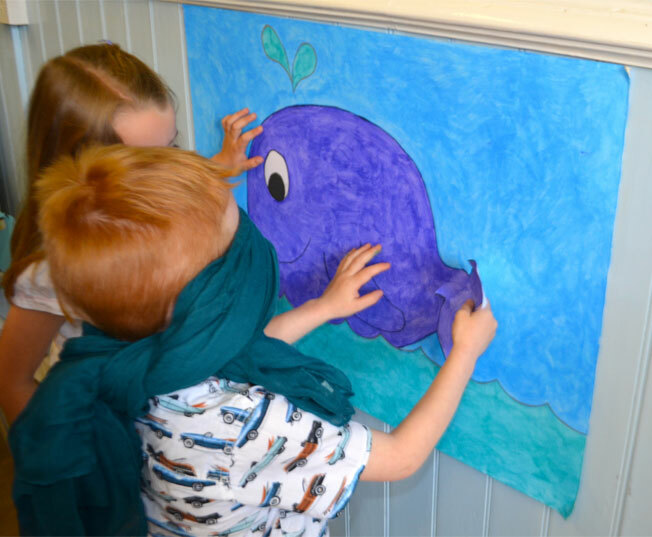 The children had lots of fun trying to Pin The Tail On The Whale at Bob’s Under The Sea party! When I was looking for inspiration for Bob’s party I found some inflatable killer whales and dolphins in Poundland. I bought several of these as I knew they would come in handy. 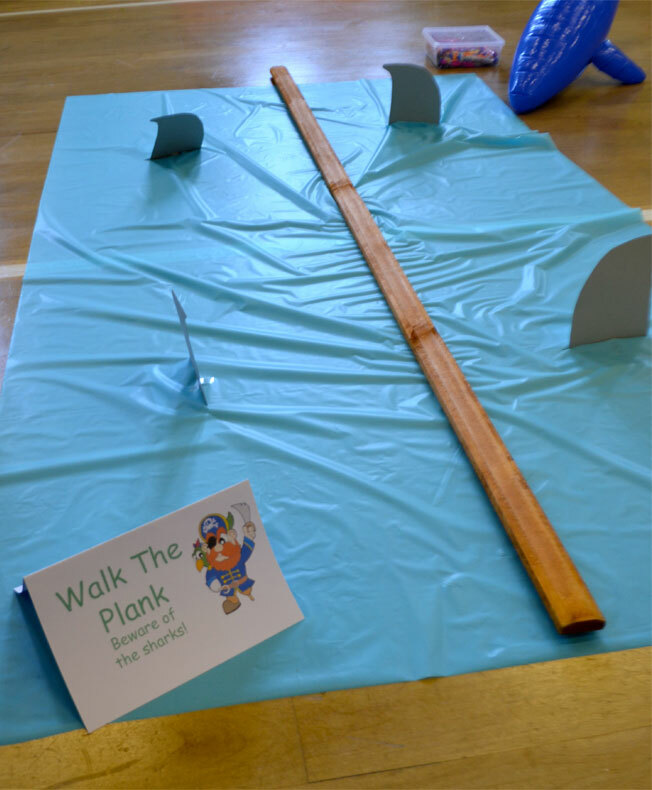 We had a game where the children had to Walk The Plank! I bought a ‘plank’ from a garden centre and used some of the blue tablecloth for the sea. I stuck shark’s fins into the ocean and surrounded it with the blow up sea creatures. I put a bucket of sweets at the end of the plank so that the children could collect one as a reward. 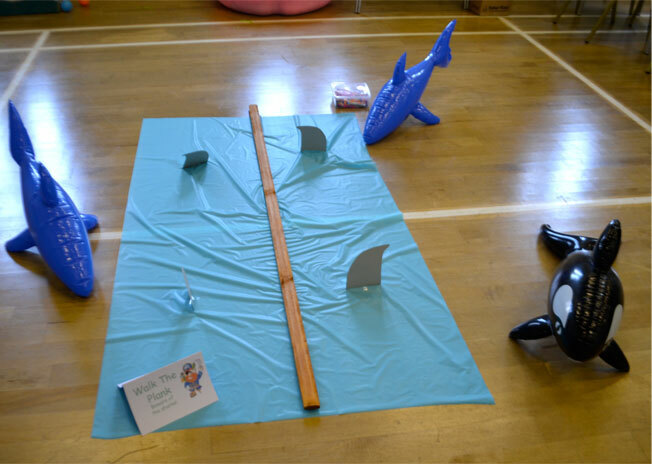 We also had a feed the shark game but I will tell you all about that in my next post as I have lots of photos of how we made it to share with you. 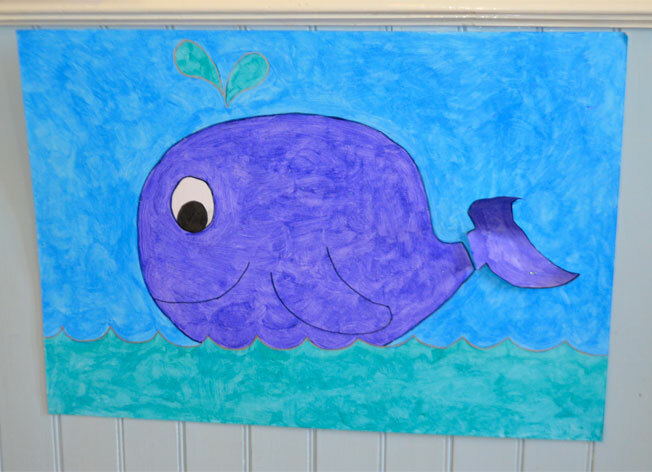 If you would like to see more posts about our Under The Sea Party click on the links below. 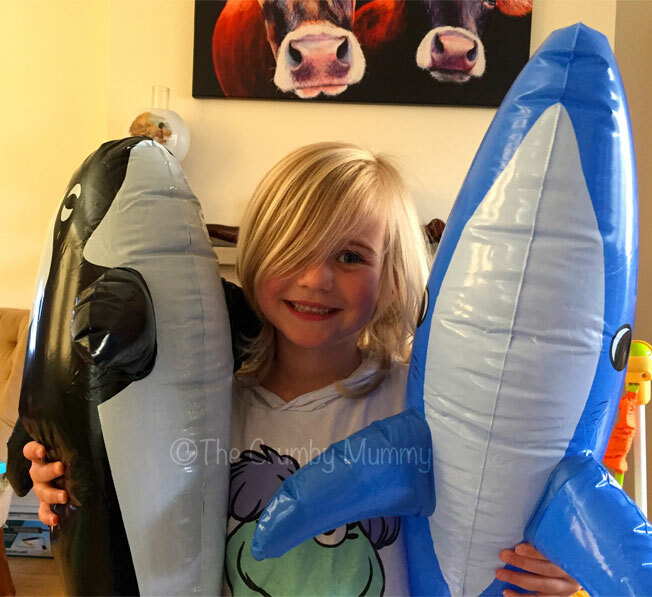 What a brilliant idea, and a bit of a throwback post for me – I had one of those blow-up killer whales as a child!